We are pleased to offer the Vicinity Rewards Card at Cloverleaf Farms. The more you shop, the faster you can collect valuable rewards. We offer a number of easily achievable perks and we give you 1 point for every dollar spent. Spend $25 dollars and you can choose a FREE beverage. Stock up you freezer and you could enjoy FREE sandwich from our deli. Plus once you get started with Vicinity you will benefit from a growing number of retailers who offer perks for shopping at their businesses. Your card and account are free so you can start collecting points right away and reaping the benefits before you know it. 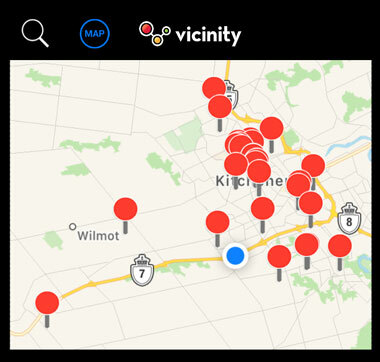 You can monitor your points and rewards at the Vicinity website. You can also download the app to your phone to track your progress. Ask the cashier for your card the next time you visit.